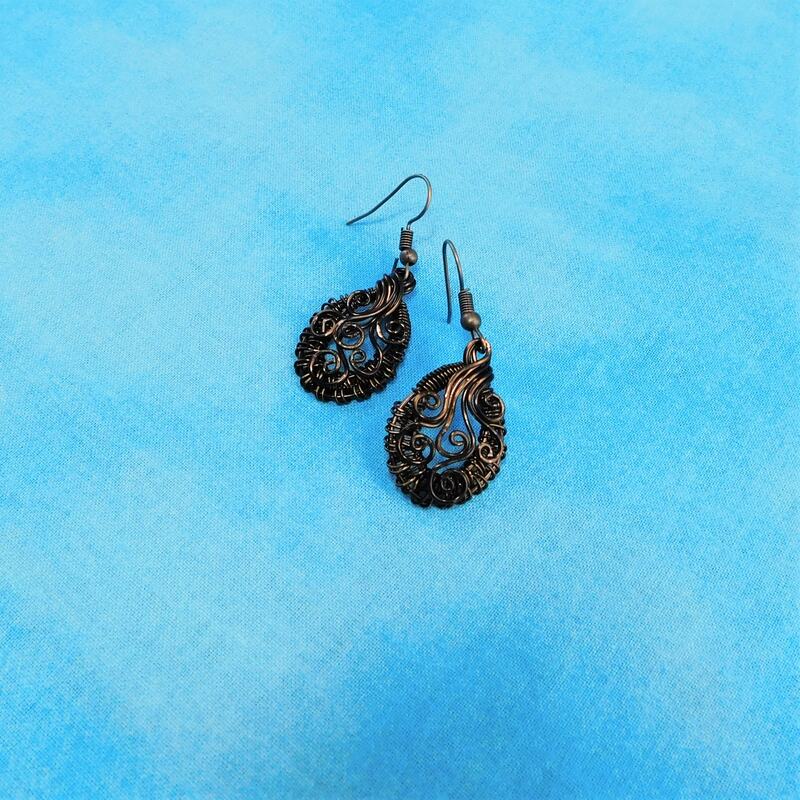 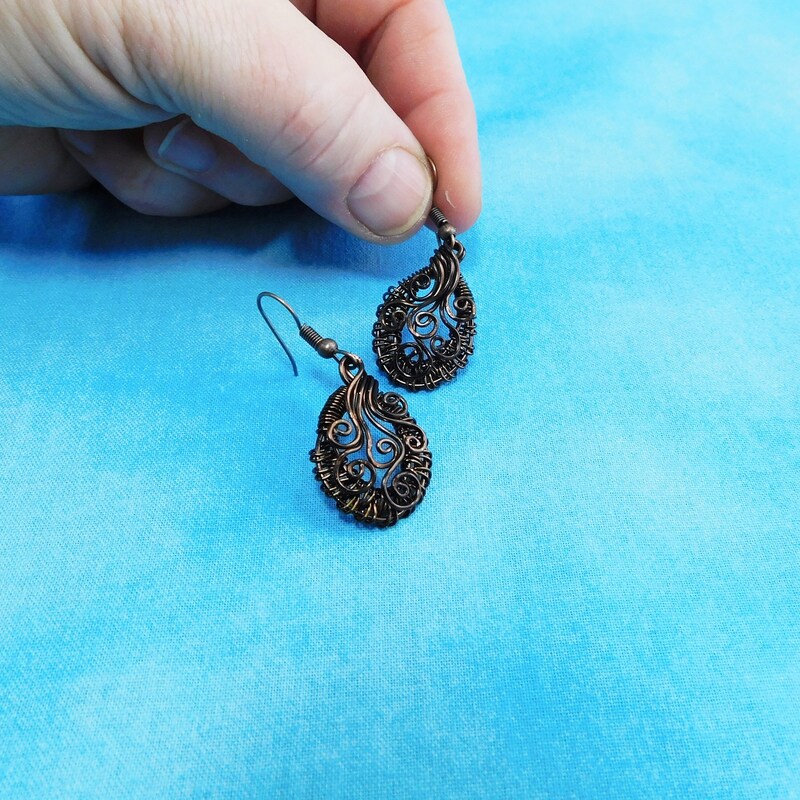 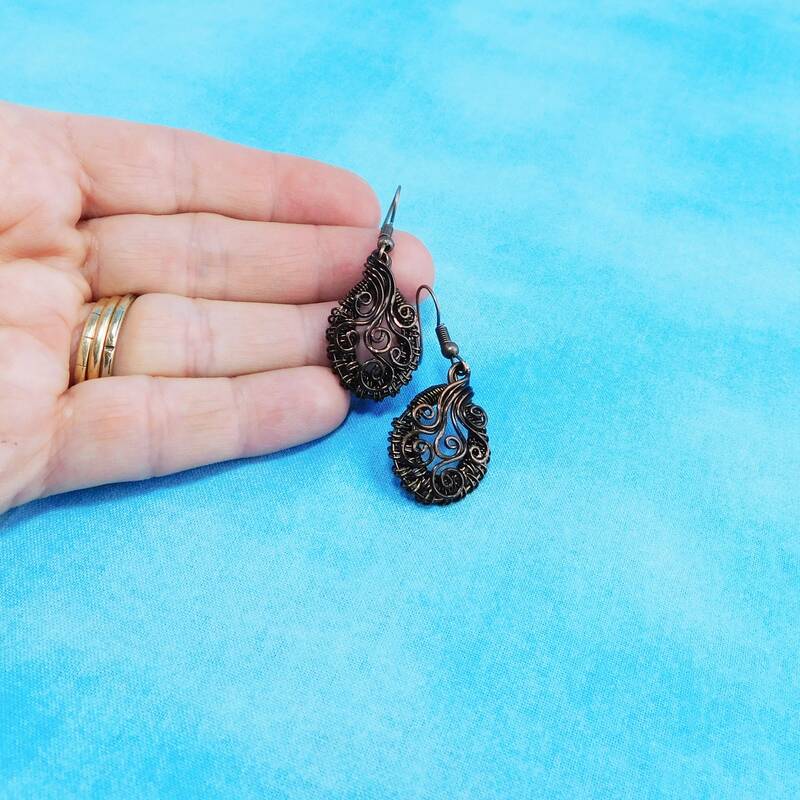 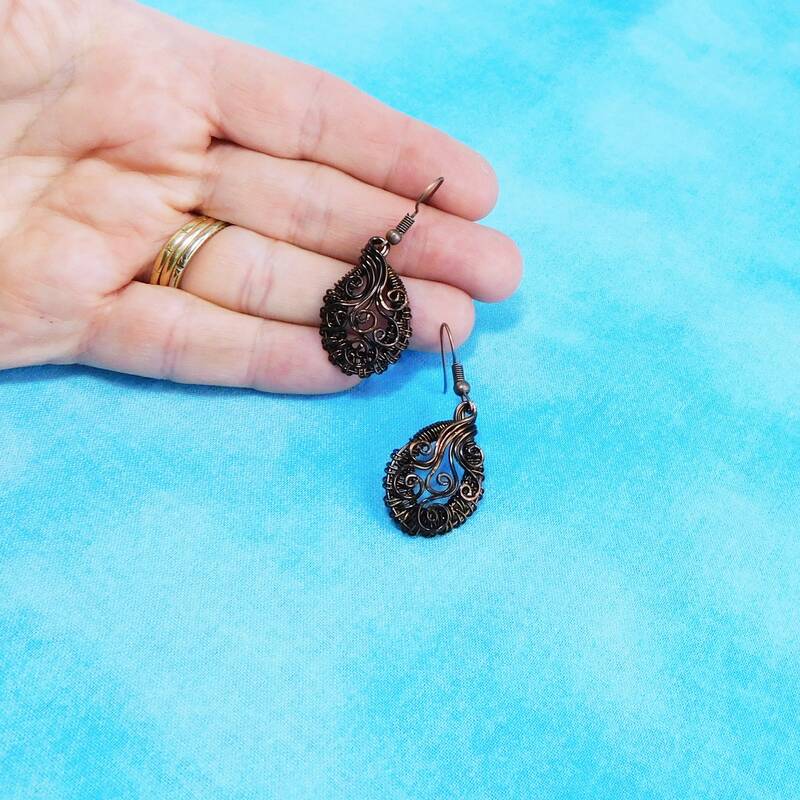 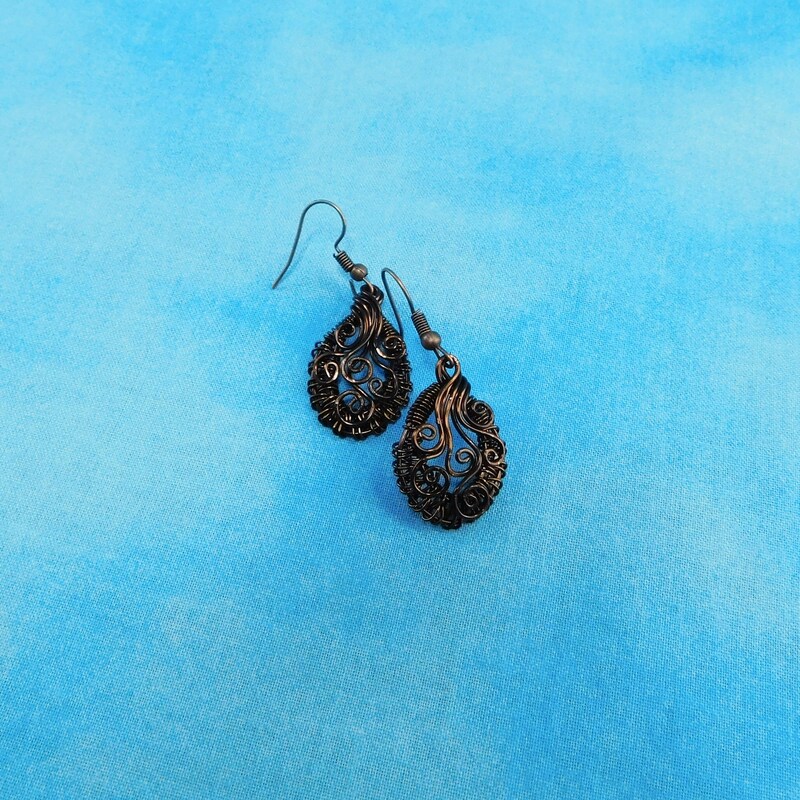 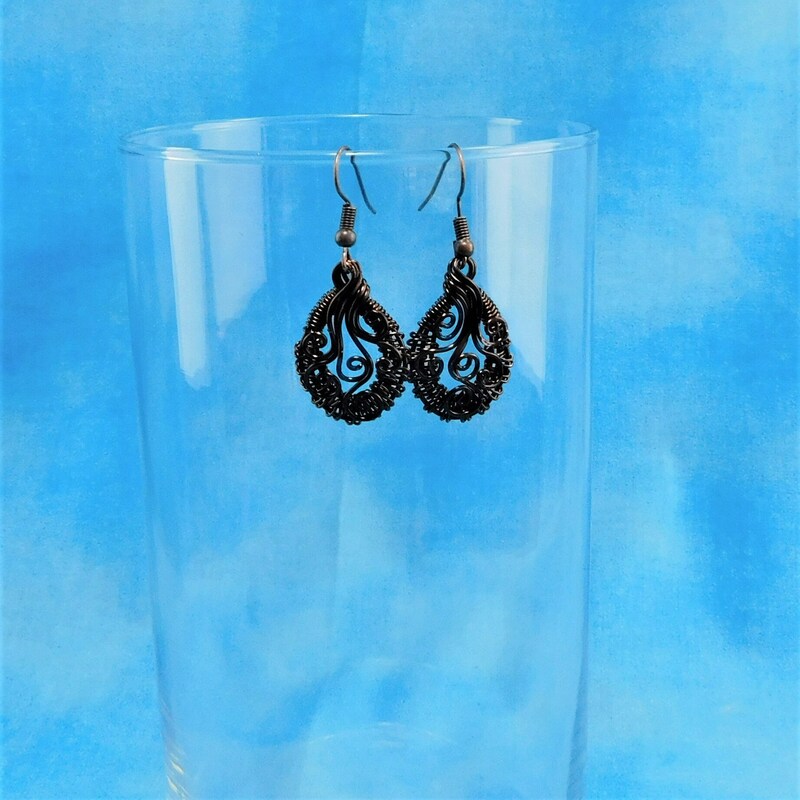 A very dark shade of non tarnish copper wire is hand woven and sculpted into wreath style earrings. 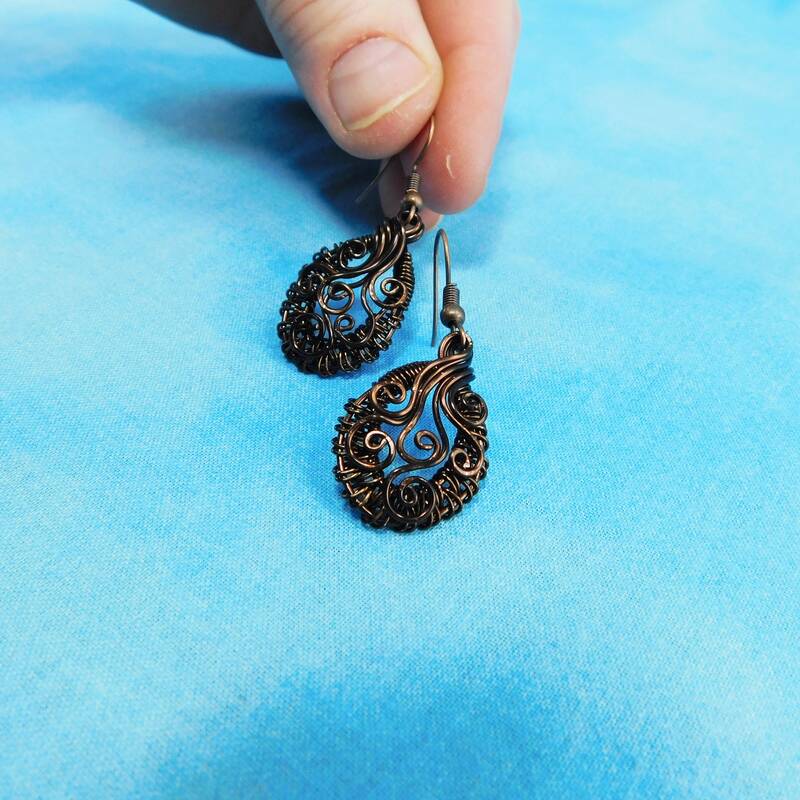 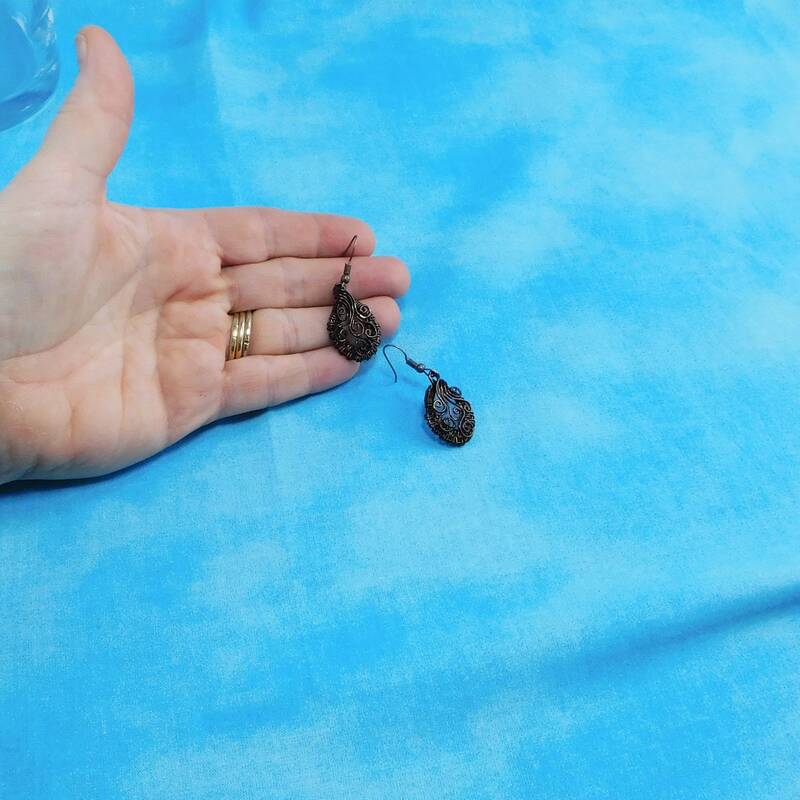 Each earring is 1 inch long by 3/4 inch wide and hangs from dark copper fish hook style, nickel free ear wires. 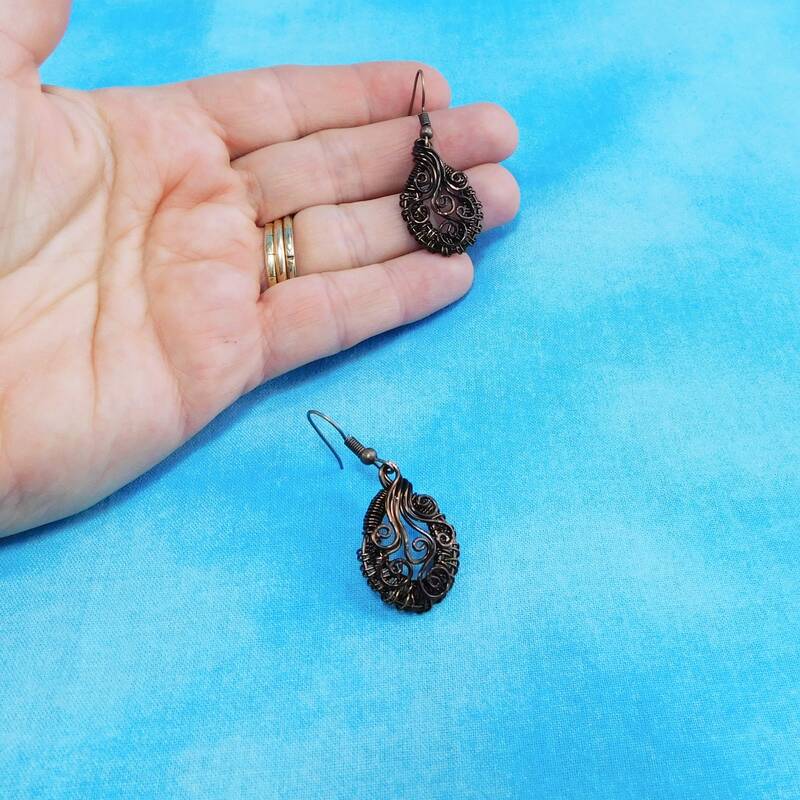 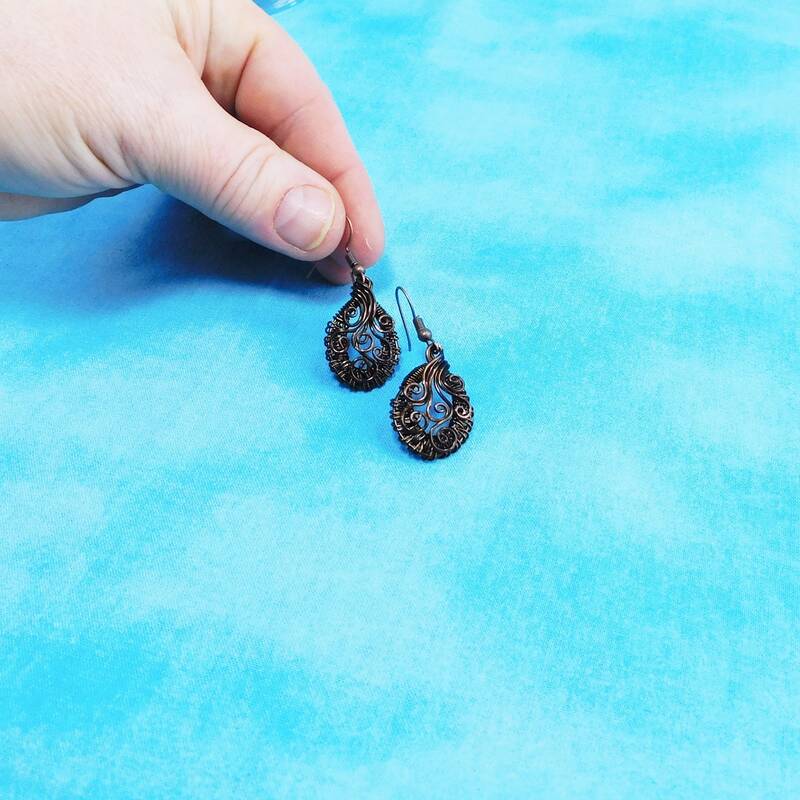 The elegant, hand crafted nature of these earrings will appeal to any woman, but they are as individual as she is.